For over 5,000 years, people have transformed and healed themselves using the wisdom of Ayurveda, sister science to Yoga. Ayurveda believes the key to our health lies in our experiential connection to Nature. When we reconnect and understand Nature through our 5 senses, we intuitively know how best to heal and nourish ourselves. As our environment continues to change and we recognize the unsustainable nature of modern living, more and more people are rediscovering Ayurveda to restore balance within themselves and Nature itself. Just as with Yoga, Ayurveda recognizes that we are not separate from Nature but are part of it. We cannot heal apart from it. Both Ayurveda and Yoga stem from the fundamental root that we possess the power to heal within us, and health is either augmented or compromised by our diet, lifestyle and habitual patterns. Ayurveda and Yoga both teach us to empower our selves to heal and transform into our greatest potential. Health is our inheritance. Partake in a 21-day Mindful Transformation Program based upon the holistic healing principles of Ayurveda. Host a Taste of Ayurveda party to familiarize yourself and others with the fundamental principles of Ayurveda. 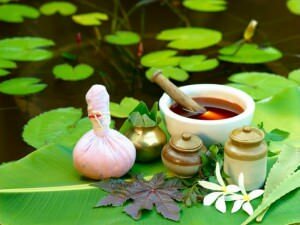 We will discuss doshas, the gunas and sample the rasayana Zrii and Nutrii Veda to experience the 6 tastes and the principles behind these Ayurvedic drinks which combine the ancient wisdom of Ayurveda with modern scientific research. Purchase Zrii and Nutrii Veda to incorporate into your lifestyle on your own and embark on a mindful journey to more vibrant, inspired living. Amalaki, also known as Alma or the Indian Gooseberry, is a little green fruit that grows at the base of the pristine Himalayas in northern India. It is really no bigger than a golf ball and the nutritional components of Amalaki are pretty spectacular. Amalaki is considered to be one of the most important and most potent herb in the whole ayurvedic pharmacopia, and it has been used for thousands of years to strengthen immunity and prevent illness. 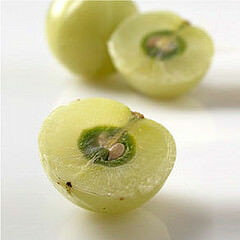 Amalaki is traditionally known as the great rejuvenator. With the antioxidant effects, amalaki as a nutritive beverage has great potential for so many different organ systems. The expertise to formulate amalaki in a liquid delivery system is pretty extensive. Mixed only with fruit juices, amalaki would be a top nutritional drink. But that wasn’t enough to ensure the highest level of nutrition possible, so Zrii created a synergistic blend of herbs and fruits to completely unlock the potency of Amalaki. Amalaki is the botanical for cellular rejuvenation. For centuries, this small fruit, which grows in the fertile soil at the base of the Himalayas, has often been considered the most effective source for, among other things, promoting cellular rejuvenation, enhancing immune function, and increasing vitality. Amalaki is wildcrafted, a harvesting technique where the fruit is taken from trees as it is naturally found in nature, hand-picked according to ancient techniques; grown at the foot of the Himalayas, surrounded by the cleanest air and water on the planet—which means no harmful artificial chemicals or contaminants.